To the untrained eye, it might look like a pleasant stretch of the Long Island Sound off the coast of Connecticut. But Suzie Flores sees a side gig—and the future of American agriculture. Flores is a kelp farmer. She heard about growing sea vegetables for food (which is common practice in Asia) and wanted to try to grow some for herself. 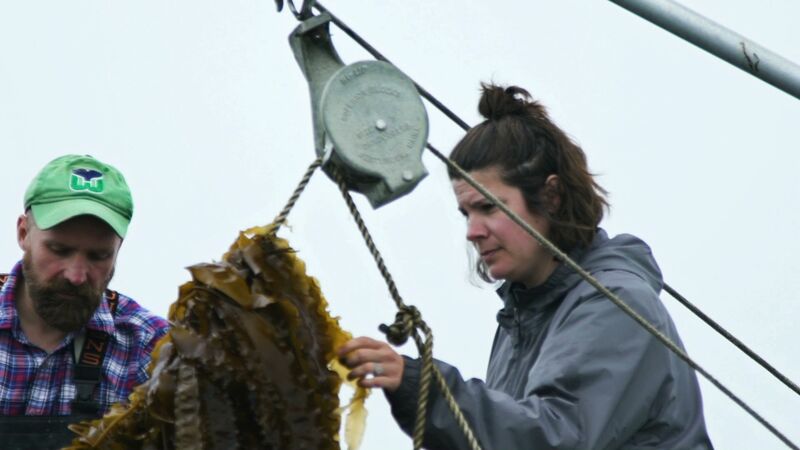 The more she researched it, the more she found kelp farming enticing. Bren Smith (L) and Suzie Flores (R) inspect their kelp crop. Image by Luke Groskin. In addition to requiring fewer chemicals than land agriculture, kelp farming is also good for our carbon future. Kelp captures five times more carbon than land-based plants. It also absorbs nitrogen, so it can offset algal blooms. And while the low-impact, high-benefit environmental impacts may be a strong argument on their own, “the economics of kelp farming and ocean farming are in some ways the most powerful piece,” says Smith. Land in Connecticut is expensive, and potential kelp farmers can lease a piece of the Long Island Sound for a fraction of the cost. The overhead for growing sugar kelp is much lower than other aquaculture, like raising fish, says Smith, and the turnaround is quick—they’re able to grow up to 20 tons of kelp per acre over the course of four to five months. Kelp noodles. Image by Luke Groskin. 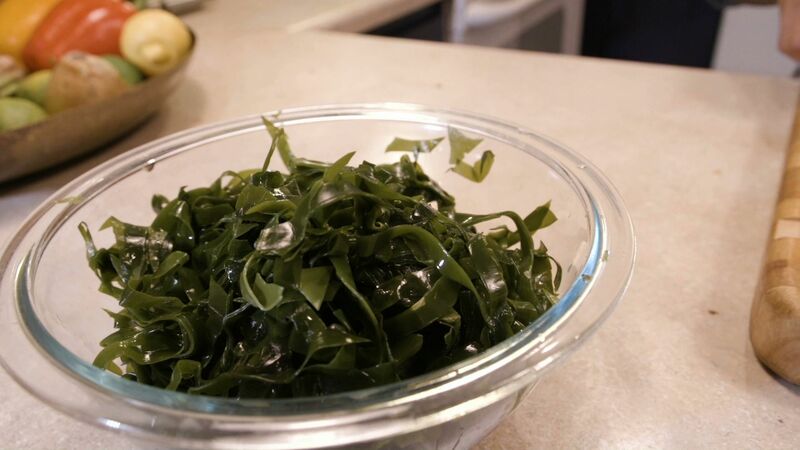 Although you can’t necessarily buy kelp in stores in the United States yet, farmers like Flores and Smith are already selling kelp to chefs and restaurants. Professional forager Tama Matsuoka Wong gives tips for picking wild plants safely and sustainably. In Sydney Padua's graphic novel, two real-life Victorian-era computing pioneers build a steam-powered computer and use it to have adventures.